Cloud Management Brings Dev and Ops Together! In 2018 we saw some substantive changes in the hybrid cloud market... some of which were easy to predict and others which came out of nowhere. If I had to give the past year a summary headline it might go something like "Industry consolidation marks the end of first-generation cloud management". Cloud management is a broad topic and to be honest it's been a bit nuts as vendors have used that term to describe a fragmented array of products ranging from optimization to security to automation to migration and more. The last year has been a mix of failures, acquisitions, and consolidation as the market shook out quite a bit. News hit over the summer that CMP startup Apprenda was shutting operations while more recently CMP grandfather RightScale was gobbled up by Flexera to strengthen its asset optimization suite. Cloud cost analytic player CloudHealth saw a similar fate as VMware tried to round out its own multi-product CMP stack back in August. What might we read into these occurrences? The market is clearly demanding more full-stack solutions... it's no longer enough to merely turbo charge or cost optimize some VMs. Cloud management is getting ready to enter a more mature phase where the demands are greater and not everybody is able to play. 1. DevOps collides with Cloud Management: The Dev side of the DevOps equation has been moving fast and as the harbinger of digital transformation, DevOps-centric organizations are going to refuse to accept the status quo. IT teams will either embrace leverage next-generation cloud management to enable developers or they will find themselves wondering what happened to their domain. The same is true for cloud management tools. Ops-centric tools are no longer going to cut it. 2. AIOps goes from buzzword to baller: Many core infrastructure platforms have started taking advantage of predictive analytics to improve the datacenter in recent years. Like everything else moving up-stack, we'll see more and more DevOps and CMP processes impacted by these technologies. From workload placement to code optimization to security scanning there are very few places where AI wouldn't help. 3. Federation isn't just for Star Trek: Debates over public vs. private clouds or AWS vs. Azure have given way to acceptance that the world is both Hybrid Cloud (on and off-premises) and multi-cloud (taking advantage of multiple platforms). 2019 will see increasing interest in next-gen private clouds as well as increasing need for centralized governance over independent cloud estates. This also means enterprises will be more and more open to wander from the grip of traditional hardware and hypervisor players to find solutions. Brad leads all facets of go-to-market, working with customers, influencers, sales and channel partners. 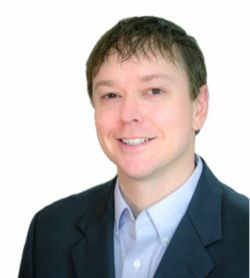 Previously, Brad had 10+ years at Hewlett-Packard Enterprise, most recently leading global marketing for Storage and Big Data. While at HPE, Brad was part of the team that acquired and scaled both 3PAR and Nimble Storage. He has also held IT leadership and engineering roles as a customer. Brad holds a bachelor's degree from Colorado State University, an MSIT from Regis University, and an MBA from the University of Denver.